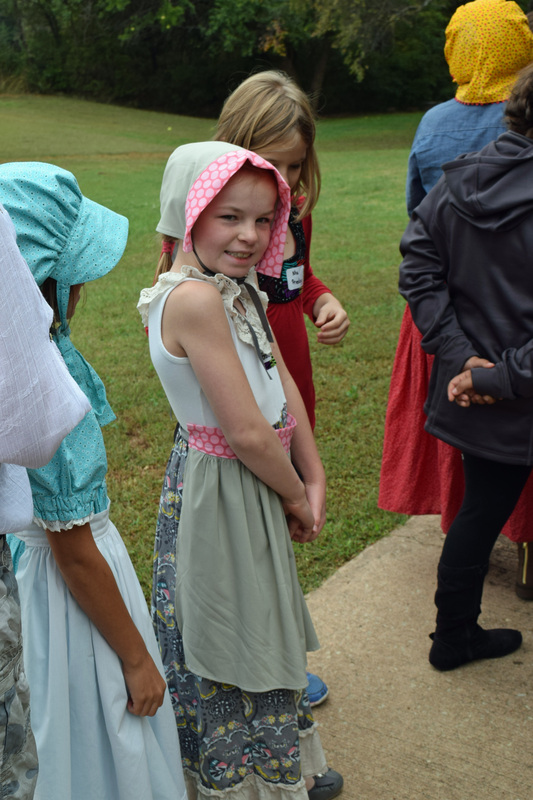 My granddaughter Kinsey, 8 years of age, recently asked me to join her on a school field trip. 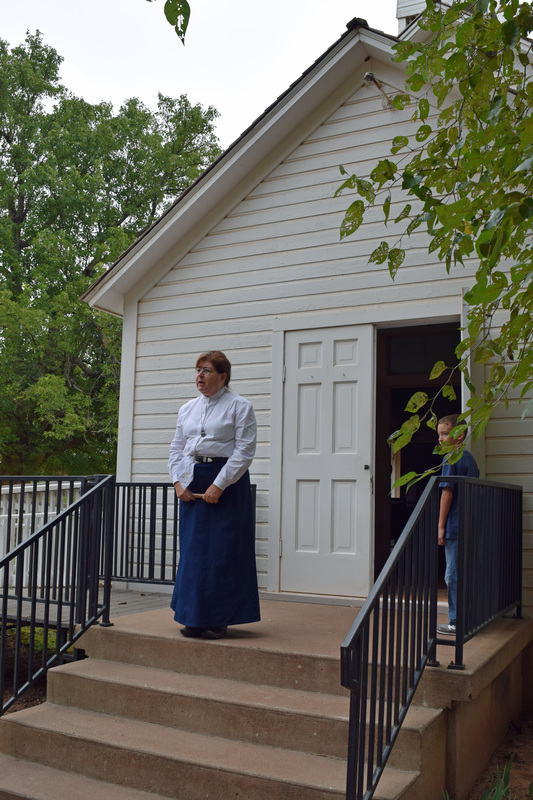 It was to Rose Hill School, located in the Cherokee Strip Museum in Perry, Oklahoma. In all honesty I wasn’t looking forward to the trip, September is a crazy busy month for me and Perry is 100 miles away. But I know my grandchildren will only be young for a short while and invites like this will not always be offered. My years on this earth have given me the wisdom to accept “grand” invitations, the priceless memories are a bonus. 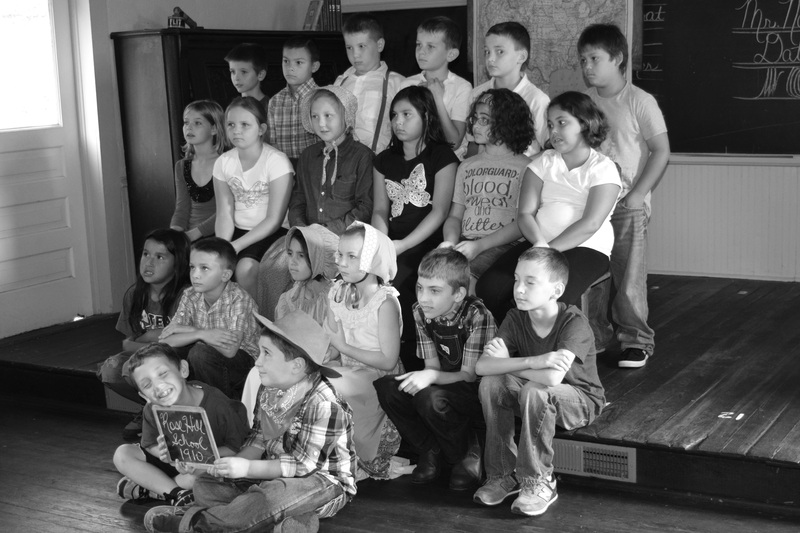 Most of Kinsey’s third grade class dressed in period times. 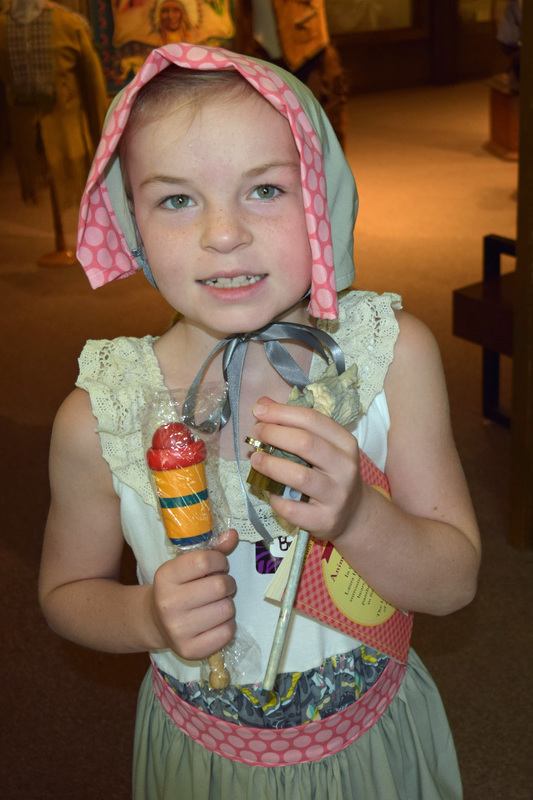 The girls wore calico print dresses with bonnets and the boys plaid shirts and jeans, some with suspenders and cute hats. 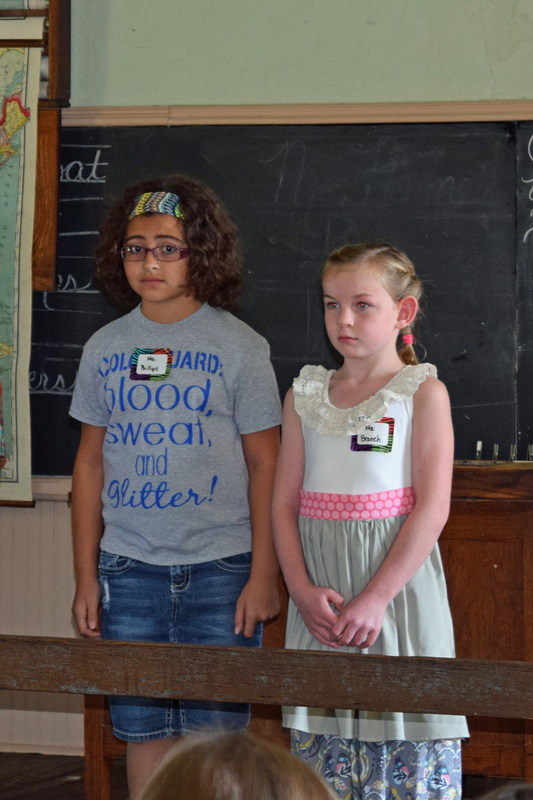 The entire class seemed excited and eager to experience what a school day was like in 1910, more than a century ago. Their smiling faces showed no dread of the long bus ride. I love a child’s ability to happily anticipate the unknown. Shortly after our arrival we were given a guided tour of the museum, I snapped several shots. 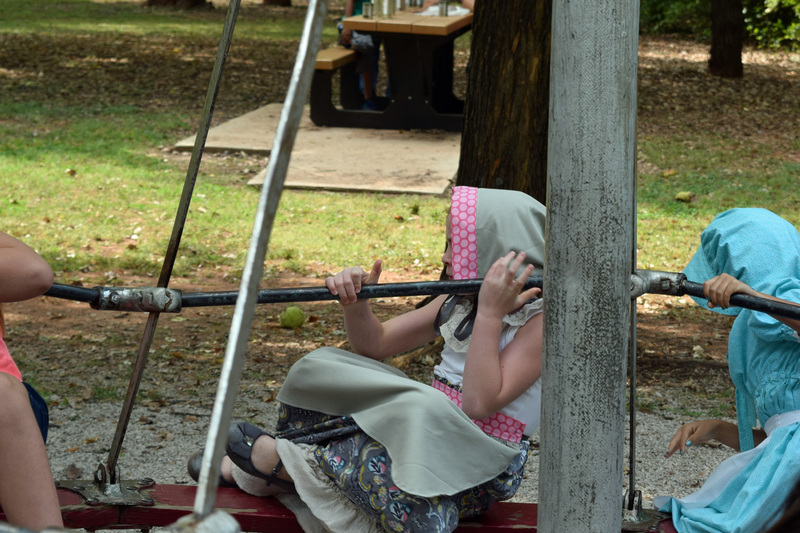 The kids were well-behaved but curious about many strange and unfamiliar things. Our tour ended with a trip to the gift shop, always a favorite with 8 year olds. Ten minutes later my wallet was $20 lighter and Kinsey had a sack full of treasures. It was finally time for the children’s real reason for their trip. After being directed to a long tree covered sidewalk we caught a glimpse of the wooden “time bridge”. The children were informed when they crossed the bridge they would be going back in time and for the next several hours they would be living in 1910. 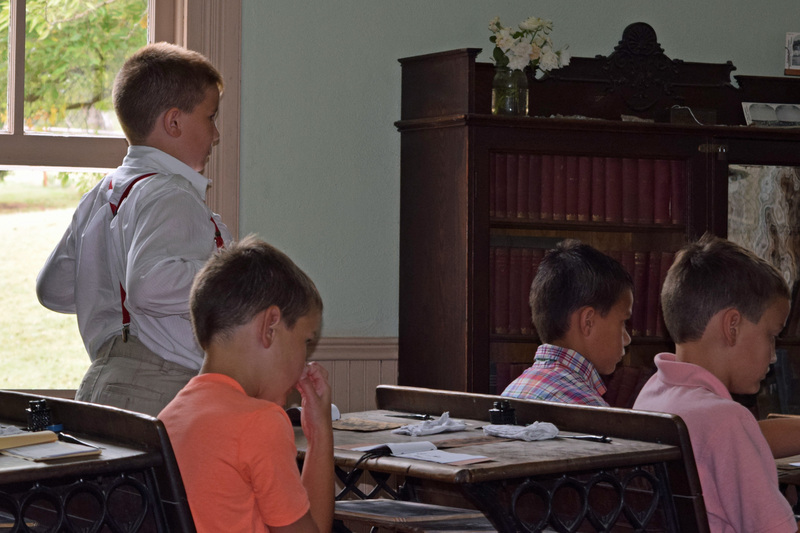 The school bell began ringing and the children followed the sound, eager for their first glimpse of the white one room schoolhouse. 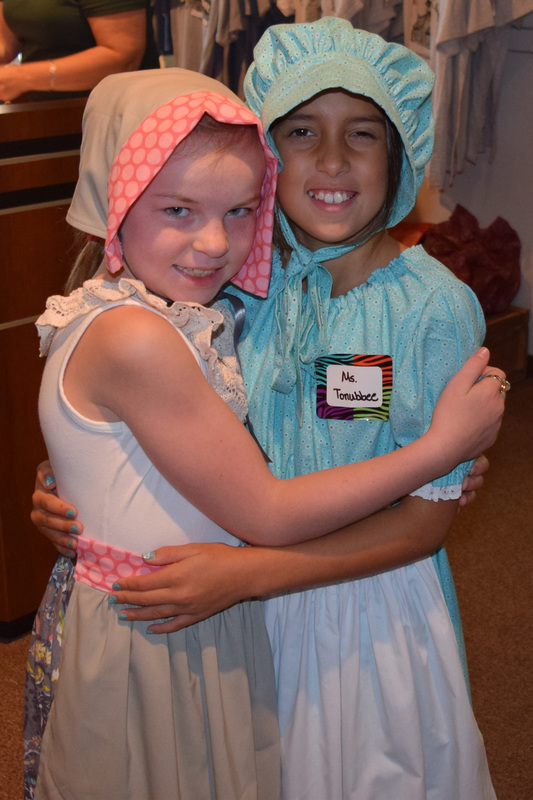 They were greeted by their school marm, Miss Rupp. She was exactly as one might picture a school teacher from 1910. Dressed appropriately she was a stern, no-nonsense woman. Initially her demeanor seemed intimidating, even foreboding but we quickly learned she was also caring, personable and even humorous. 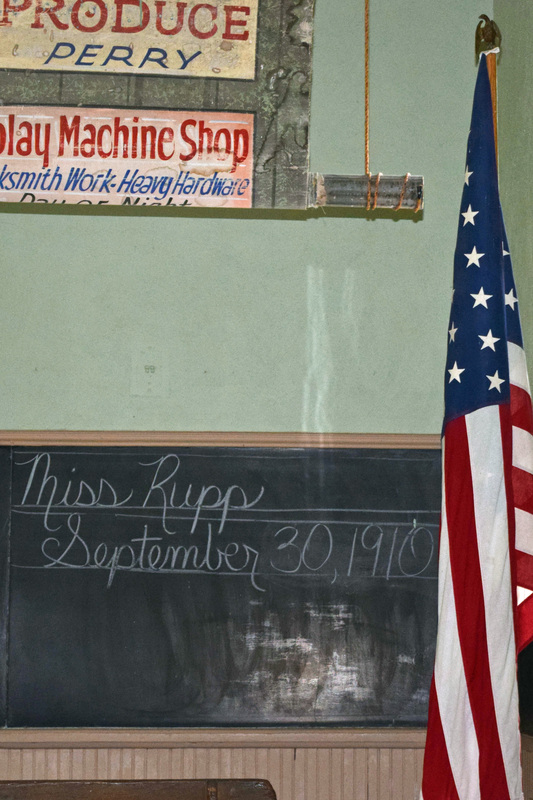 Miss Rupp expected and required all of her “scholars” to use their best manners. Raise your hand, stand when you speak, yes ma’am, no ma’am, ladies first, be polite and always follow the golden rule. Good manners in 1910 were much like they should be in 2015. The scholar’s first lesson was penmanship with quill pens and glass bottles of ink. 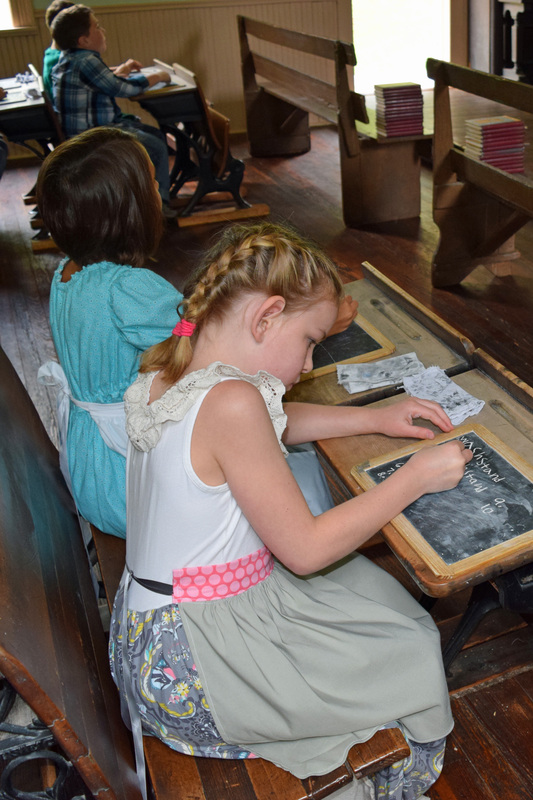 They wrote on handmade paper tablets, and practiced the correct curves and slants required for cursive writing. They were introduced to the word “orthography “, defined (I googled it) as a set of conventions for how to write a language, including rules of spelling, hyphenation, capitalization, word breaks, emphasis and punctuation. They ended penmanship with a lesson on the importance of listening. The scholars wrote the sentence, “Silence is golden”. The next lesson was spelling. 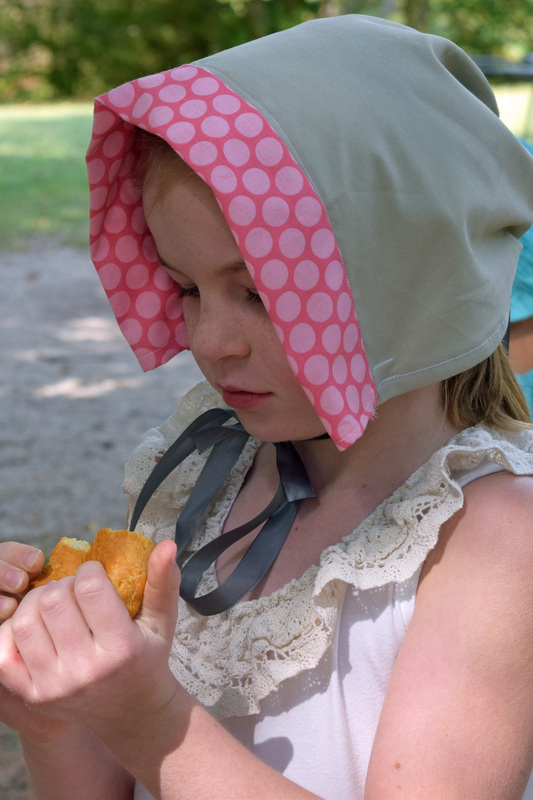 Their words were pantry, washstand, flatiron, parlor, waistcoat, bonnet, sash, drawers and breeches. Many of these words had to be explained to the third grade scholars. 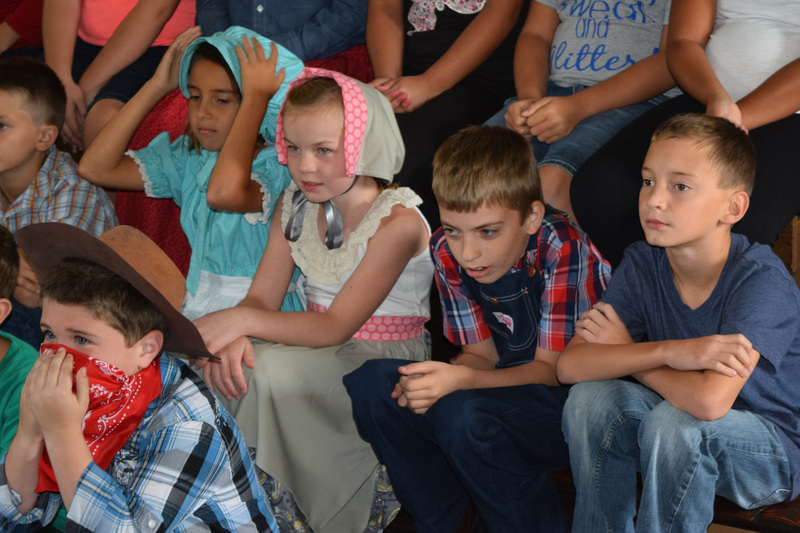 The marm referred to the parents and grandparents sitting in the back of the class as the older 8th graders. Next the teacher asked all of the children to take their slates and chalk out of their desks and they began American Arithmetic. She walked around the room clearly enunciating story problems instructing the scholars to work the problems on their slates. The third graders wore name tags and Miss Rupp referred to each one using Mister or Miss with their surnames, another lesson for the class. The last lesson before lunch break was recitation. Miss Rupp asked the group to get their McGuffey readers from their desks. They were going to read from a poem in the back of the book. The boys set two by two on one side of the room, the girls on the opposite side, this arrangement had been designed by the school marm. The recitation was divided just like the seating, the girls had lines to read then the boys followed with theirs. 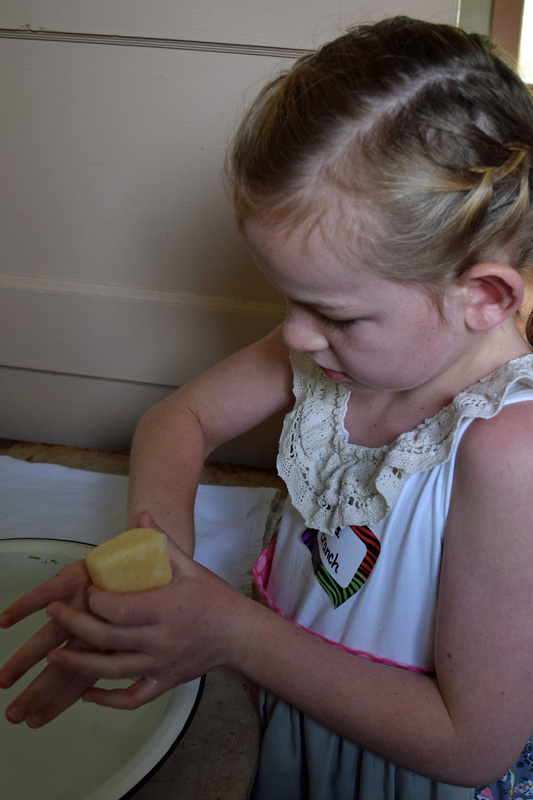 After systematically washing their hands from a bowl, a bar of lye soap and a bucket of water lunch recess was an enjoyable break. 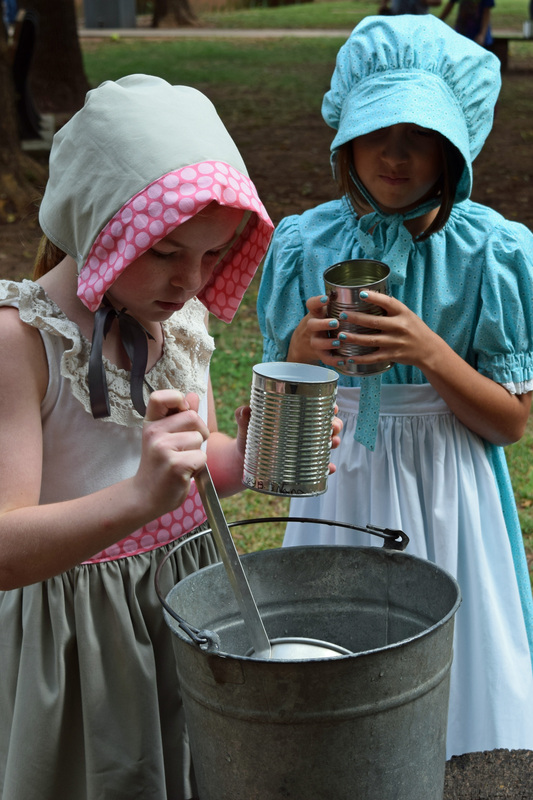 The children’s lunch was in a metal can, a smaller metal can served as a cup. 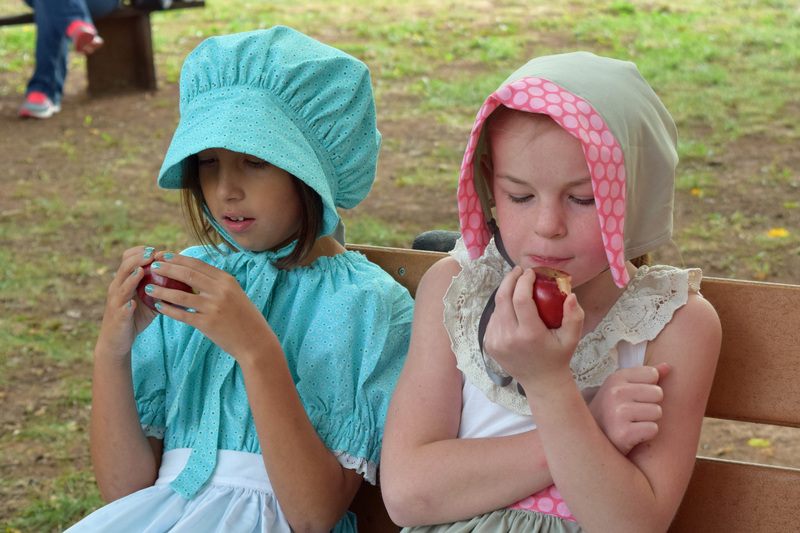 They had been given prior instructions on what food was allowed at Rose Hill. Kinsey’s teacher had prepared their lunch, consisting of a biscuit, a slice of cheese, an apple and a cookie. One of the young boy scholars carried a bucket of drinking water to an old tree stump, the children took turns using a ladle to put water in their cans. After their meal the children were entertained by a variety of 1910 toys. 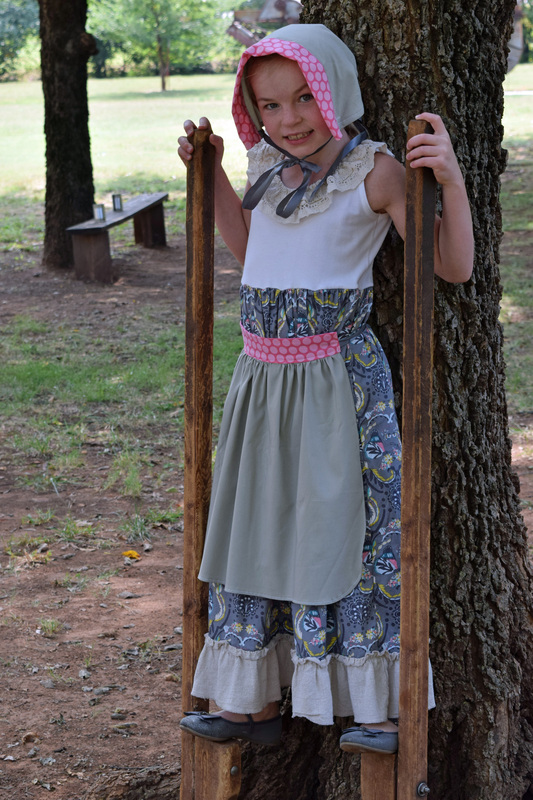 There was an old metal merry-go-round, swings, wooden rings, jacks, and I think Kinsey’s favorite, the handmade wooden stilts. I never heard the words, “I’m bored”, the children seemed happy and content with their shady 1910 school yard. When Miss Rupp rang the school bell the children quickly formed a line to enter the school. 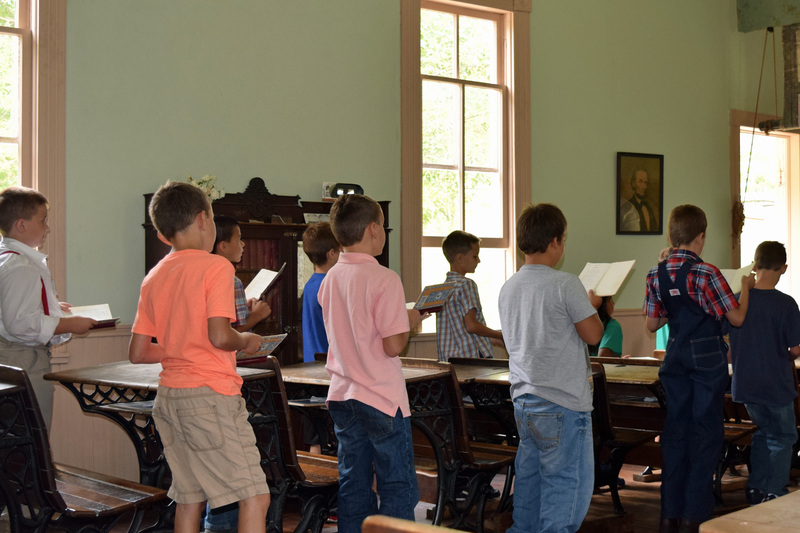 Their afternoon began with Oklahoma history. 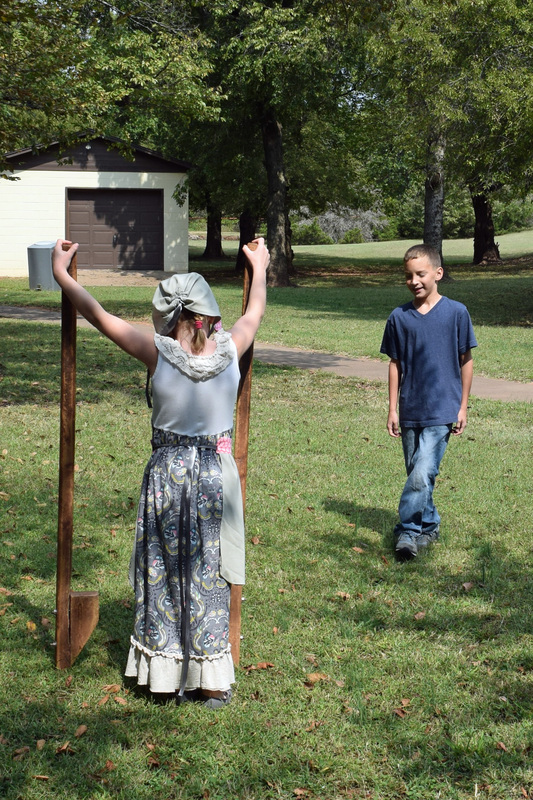 She expected them to know our statehood day of Nov. 16, 1907, making Oklahoma the 46th state. 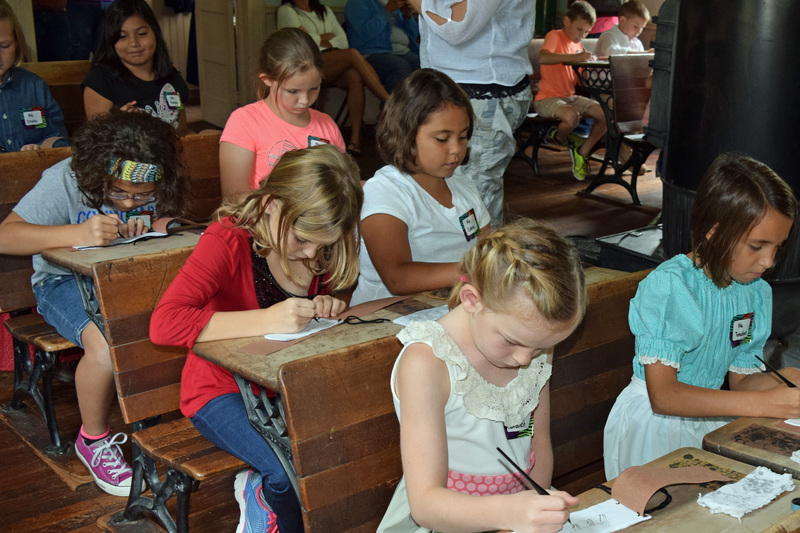 The children must certainly know who was governor of our state, Charles Haskell and the president of the United States William Howard Taft. The scholars final lesson was a spelling bee. 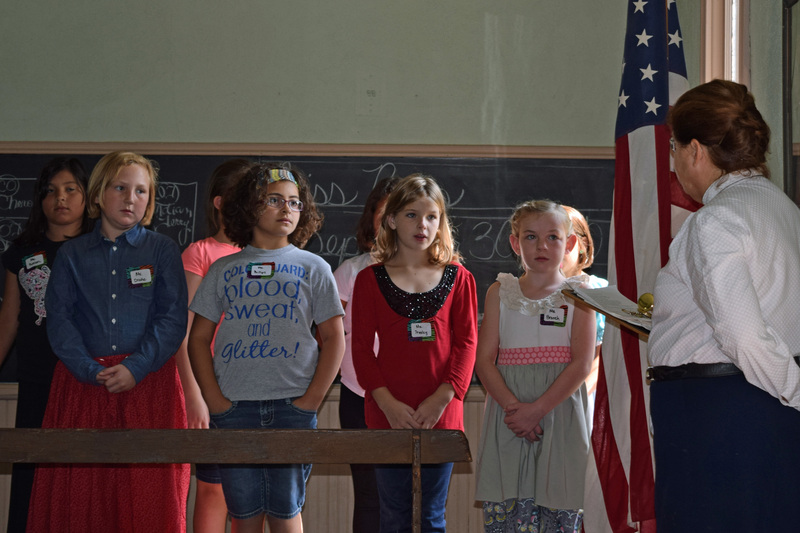 The school marm arranged the children to stand in the front of the classroom. 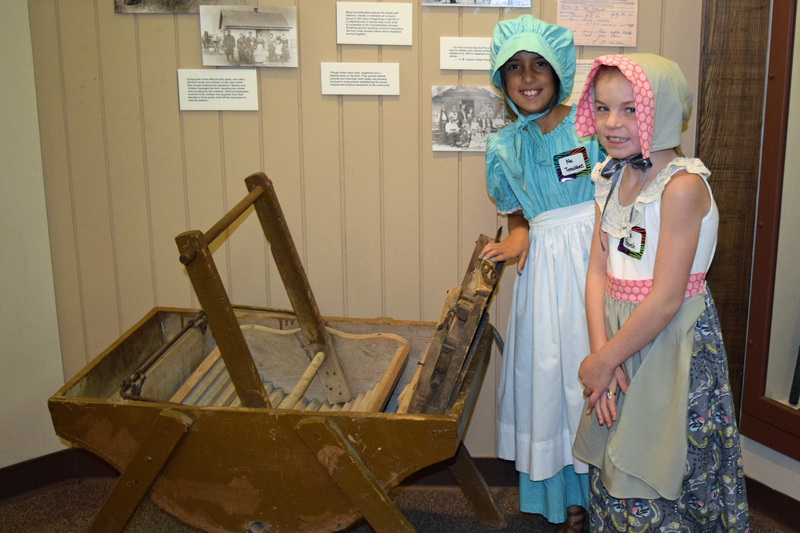 Miss Kinsey’s words were barn, belt, pennies, parlor, sewing, churn and maple. After these words there were only 2 children left standing, Kinsey was one of the two. Her final word was kitchen, she repeated the word and then said “c”, immediately shook her head and then correctly spelled kitchen. The rules had been clearly explained, they were not allowed to change or correct themselves. Kinsey finished in second place much to her disappointment. Something in her DNA makes her competitive, a family trait she and I share. Bless her heart! The school day was coming to an end, it was time for the young scholars to cross the “time bridge” and return to 2015. I think they carried good memories with them as they walked. I am happy to say they are memories Kinsey and I share. 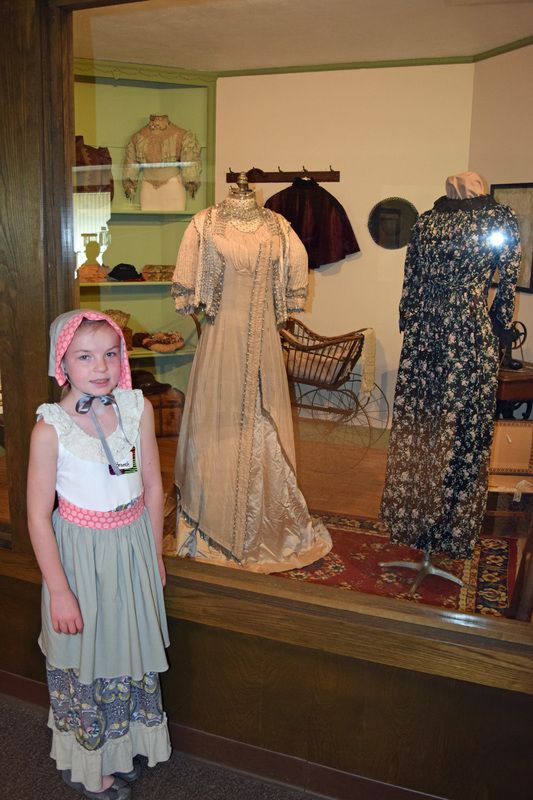 This entry was posted in Kinsey and tagged Cherokee Strip Museum, Granddaughter, Kinsey, Rose Hill School, third grade field trip. Bookmark the permalink.